Eupedia Home > Genetics > Haplogroups (home) > Which DNA test to choose? Which ancestry DNA test to choose? 5. Which is the best test? If you are new to ancestry DNA tests and would like to learn the basics of how DNA can be used to retrace one's ancestry, please check our Ancestry DNA test FAQ first. The three principal DNA tests for ancient ancestry are Living DNA, Geno 2.0 (by National Geographic) and 23andMe. The first three will determine your Y-DNA haplogroup with more precision than a Y-STR test like the ones sold by Family Tree DNA (FTDNA). All three tests will give you your mtDNA haplogroup (most often the deepest subclade possible) as well as autosomal DNA (i.e. DNA on chromosomes other than X and Y) that can be used to calculate your personal autosomal admixture using one of numerous custom calculators (see below). Note that in 2017 we reviewed the Chromo 2.0 test by BritainsDNA. However BritainsDNA stoppped its operations in July 2017 and its test is no longer available. Beware that tests like AncestryDNA, MyHeritageDNA and FTDNA's Family Finder will only give you your autosomal results, not your Y-DNA and mtDNA haplogroups. 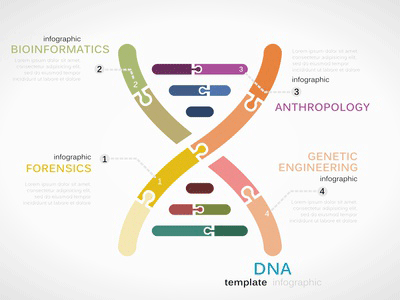 AncestryDNA was developed for Ancestry.com, a genealogy website, and as its name indicate Family Tree DNA was also originally founded for genealogists. Both are mostly aimed at people trying to find/compare relatives within a few generations or to estimate the percentage of autosomal ancestry inherited from relatively recent ancestry - and therefore relatively useless for Europeans or people with a good paper genealogy (=> see also Why do people still care about genealogy?). DNA Tribes: Their tests are based on autosomal STR. They don't test Y-DNA, mtDNA nor autosomal DNA. The lack of SNPs means that the raw data cannot be used for autosomal calculators like Dodecad, nor uploaded on third party websites lik GEDMatch or websites analysing medical conditions. DNA Tribes only reports the percentage of similarity with some modern populations worldwide; However they only divide Europe in four broad regions, which is not informative for people of European descent. Genebase: provides very expensive Y-STR tests as well as autosomal SNP tests targetting single genes that they label with catchy names such as 'Warrior gene', 'Promiscuity gene' or 'Depression & Anxiety gene'. This is deceptive marketing as such traits are based on many genes, which incidentally are also included in most of the autosomal tests below. iGenea: sells Y-DNA, mtDNA and autosomal DNA tests in packs at greatly inflated prices (1399$/1279€/1099£ for a test similar to Living DNA or Geno 2.0). Their website completely lacks transparency about what's included in the tests (e.g. number of SNPs or STR tested) and they claim that customers can find if they are related to historical people like Marie-Antoinette just by comparing their mtDNA, which is very deceitful as mtDNA generally points to a common ancestor who lived thousands of years ago, not a few centuries ago. Here is a quick comparison of the DNA testing services offered (as of January 2018). MyHeritageDNA and FamilyFinder are currently the cheapest autosomal tests, but they do not include Y-DNA or mtDNA results. You will need to order other tests to obtain these, which will eventually cost you more than a 23andMe or LivingDNA test. FTDNA's Comprehensive Genome is the most overpriced of all the tests. Watch out that AncestryDNA only ship to half of European countries (excluding notably France, Germany and Spain), and is not available in Asia (except Turkey, Georgia and Armenia), Africa, Latin America or Oceania. The ordering process hides the shipping costs until after the personal details and credit card information have been provided, which can perceived as deceitful. Note that 23andMe charges exorbitant shipping fees for countries outside North America and northern Europe (between $40 and $72, depending on the country, using standard delivery), which considerably increases the final price. 23andMe is the cheapest complete test for American customers ($99 for ancestry only), but the higher price elsewhere (249 CAD, 169€, 149£, 149 $ + delivery) is only justified if you are interested in the health report (only available for a few countries), as your Y-DNA and mtDNA haplogroups assignation won't be as accurate as with LivingDNA or Geno 2.0. For example, 23andMe customers will only know which top-level haplogroup (e.g. G2a, I1, J2b1, R1a1a, T) or top-level subclade (R1b-U106, R1b-U152, E-V13, J1-P58). It's good enough to know whether you descend from Mesolithic Europeans, Neolithic farmers or Bronze Age Indo-Europeans, but it is not enough to tell if an R1b is Celtic or Roman, or if an I1 is Anglo-Saxon, Frankish, Gothic or Viking, or if a J1 or J2 is Jewish, Phoenician, Greek or Arabic. It won't even distinguish between Slavic, Indo-Iranian and Germanic branches of R1a. The other three tests will normally reach that level of accuracy, but you will need to visit your haplogroup page on Eupedia to learn about the origins of your deep clade as the testing company's report won't be as accurate. LivingDNA and Geno 2.0 offer the best deal, with the most Y-chromosomal and mitochondrial SNPs (and therefore a higher degree of accuracy). The 4,700 mtDNA SNPs tested by LivingDNA include almost all the mitochondrial mutations identified to date, and therefore can be regarded as equivalent to the full mtDNA sequence sold by FTDNA (unless you are willing to pay extra to know about potential private mutations that are of no interest for tracing back ancestry). All companies will provide a distribution map and short summary for each haplogroup. These are however very basic (and sometimes inaccurate) compared to those you will find on this site. You can also order separate Y-DNA and mtDNA tests at FTDNA, but to get results more or less equivalent to those of 23andMe, LivingDNA, or Geno 2.0, you will need to order the Y-111 ($359) and the mt Full Sequence ($199), which together with Family Finder will set you back $637, almost exactly four times the price of LivingDNA or Geno 2.0. You can save a bit by ordering them as a pack (Comprehensive Genome, $546), but the price difference with other tests is still huge. Even after ordering the Y-111, you will have to rely on haplogroup project administrators to determine your deep clade. There is a good chance that you won't know your deep Y-DNA clade for sure with an STR test alone and might still need to order an extra SNP test (typically $119) to confirm it. Unfortunately it is not possible to order directly a Y-DNA SNP test from this company, and they purposefully remove Y-DNA and mtDNA data from their Family Finder SNP test to force customers to order separate tests. Without additional SNP testing, the 111 Y-STR test included in the Comprehensive Genome will give you a depth of subclade slightly better than 23andMe's test, but not as good as Geno 2.0 or Living DNA. To obtain the same resolution, you will end up paying at least $665 ($546 + $119), but you still won't have any medically relevant SNPs to analyse with third-party services (see below), as FTDNA had them specifically removed from the DNA testing chip. Another company that offers custom SNP tests is the Berlin-based Yseq.net. People who already tested their Y-DNA with a company that does not provide deep clade testing (e.g. 23andMe) or ordered an STR test from FTDNA can obtain their deep clade by ordering a haplogroup panel of SNPs. For instance, someone who has been identified as a member of Y-haplogroup I1 can order the I1 panel testing nearly 600 SNPs under I1 for $99. At the time of writing, a similar I1 SNP pack at FTDNA contained only 172 SNPs for the same price. Nevertheless, a test like Living DNA will already include over 240 SNPs for haplogroup I1, and over 600 for a larger haplogroup like R1b, in addition to the mtDNA and autosomal DNA. So ordering custom SNP tests remains a more expensive option and is only recommended for people who want to dig as deep as possible in their Y-DNA phylogeny but can't afford a full Y chromosome test (see below). YSEQ also sells full mtDNA sequences, but at $179, although cheaper than FTDNA ($199), it is probably not useful for ancestry purposes (see above). It would only be recommended for someone who is suspected to have a mitochondrial disease and needs to be tested for medical purposes. Each company will compare the percentage of similarity between your genome (autosomal DNA) and those of individuals from other countries, although their accuracy still needs to be improved. All tests have a similar number of autosomal SNP's. LivingDNA has the most detailed autosomal ancestry report in terms of reference populations. It shows the percentage of similarity with populations from 80 regions in the world (but planning to expand considerably), including 20 subregions within the United Kingdom for people of British ancestry. Besides the UK, Europe is subdivided in 15 regions, while the Middle East has 10 ancestral regions. Those regions are designed to match ethnic groups (e.g. North vs South Italians, North vs South Slavs, Basques, Sardinians, Greeks, Armenians, Kurds, etc.). Unfortunately there is no PCA plot nor chromosome composition. Geno 2.0 Next Generation claims to use 60 reference populations, but the report only shows 7 broad regions. Europe is only divided in 'Northern European' and 'Mediterranean'. The Middle East is unified under the category 'Southwest Asian'. Other regions are Southeast Asian, Northeast Asian, Sub-Saharan African, and Native American. Only the reference populations are subdivided in smaller regions, but it's not what you will see in your results. FTDNA My Origins uses 18 populations, including 7 European populations. They are divided by region rather than actual ancestry (e.g. Portuguese, Spaniards and Italians, including Basques and Sardinians, are lumped together under 'North Mediterranean Basin'). FTDNA has added a new report in 2016 named ancientOrigins, which aims at determing the percentage of Mesolithic European, Near Eastern farmers and Metal-age invaders. However the results do not match at all those obtained from other calculators based on actual ancient samples from academic research. This report is so misleading that we recommend that you ignore it altogether. AncestryDNA claims to report 150 regions in its ethnicy estimate. However, according to their own website, there are only 26 populations in their reference population dataset, and customers only get percentage estimates for those 26 populations. This means that, even though it may appear at first sight that AncestryDNA has the largest number of regions for ancestry/ethnicity in its report, the actual quantifiable number is just 26 - the second lowest number of FTDNA MyOrigins. AncestryDNA's report is in fact very similar to FTDNA MyOrigins, but with a higher degree of differentiation inside Africa. There are 9 European regions - essentially the same as FTDNA but with different names. 'North Mediterranean Basin' has been divided in Iberian peninsula vs Italy/Greece, but it still does not differentiate the genetically distinct Basques and Sardinians, nor the North vs South Italians. The other diffence with FTDNA is that 'British Isles' has been divided into Britain and Ireland. MyHeritageDNA compares your DNA with that of 5,000 participants from 25 ethnicities in its report. They plan to grow this number to more than 100 ethnicities as they gather more data. MyHeritage did not do the same mistake as FTDNA or AncestryDNA of dividing regions solely by geography, but also included actual ethnicities like the Sardinians, Finns/Karelians or Ashkenazi Jews. On the other hand, there are only eight European populations, including those three, so it's not as detailed as LivingDNA or even 23andMe. One of the company's strength is that they support 42 languages, while other companies have only English. Like AncestryDNA, they do not offer Y-DNA or mtDNA tests though, which is disappointing for anybody interested in ancient ancestry. 23andMe's Ancestry Composition is subdivided in 10 European and 13 non-European ancestral populations, but the results rely heavily on other customers' self-reported ancestry. Non Europeans will typically fall in broad categories like East Asian, South Asian or Sub-Saharan African, which is not very informative. Furthermore, 23andMe claims that its Ancestry Composition only assesses ancestry over the last 500 years, but our analysis showed that it really distinguishes between Late Ancient and Early Medieval populations. The modern appellation like 'French & German' have been mislabled and should read more like 'ancient continental Germanic'. This explains why their Ancestry Timeline is completely unreliable, as they greatly underestimate the number of generations elapsed. Since April 2018, 23andMe advertises its test as covering 150+ regions. This is merely a marketing trick in response to AncestryDNA equally false claim that they report ancestral admixtures for 150 countries. In fact, nothing changed. They are still covering the same 23 regions as before. Like AncestryDNA they just added a list of countries within each region and dots (from 0 to 5) showing the approximate confidence level that someone has ancestors from a specific country. Don't get your hopes up, as it's far from reliable. 23andMe also offers the option to get health report, including genetic traits and for disease risks, although this is only available to customers located in the USA (for $199 instead of $99 for ancestry only), Canada, the UK and northern Europe (Ireland, the Netherlands, Denmark, Sweden and Finland only). In other countries only the ancestry test is available. Note that AncestryDNA and Living DNA's raw data also include medically relevant SNP's. Those companies do not provide a health report, but the data can be analysed by third-party websites such as Promethease, Genotation (formerly Interpretome), GenoMapp, CodeGen, Impute or LiveWello, among others. People who tests with 23andMe in countries where the health report is not available can also use these third-party services. The number of populations available in each ethnicity report is not the only thing that matters. What's important is whether these regions accurately match one's ancestry. That depends a lot on the number of samples used as reference populations. FTDNA and AncestryDNA use only 3,000 individuals as reference, compared to 5,000 samples for MyHeritage, and approximately 10,000 for 23andMe and LivingDNA (who both plan to add many more soon). That being said, it is important to understand is that autosomal (ethnicity) reports provided by testing companies have little scientific value at present because they do not distinguish between enough populations at the national and regional level to be really accurate. LivingDNA is the only company to provide regional differentiation, and it is based on relatively good data from Oxford University's People of the British Isles (PoBI) project. However it only applies to people with British ancestry. Even with 80 worldwide reference populations, the accuracy of predictions is only reliable at the broader continental or subcontinental level (e.g. Northwest vs Northeast European, East Asian vs Siberian), but remains shaky at the national level. It is often far more interesting to compare autosomal admixtures with calculators like Dodecad or Eurogenes, which are provided for free at GEDMatch (see below). Conclusion: which test is the best? So which test to choose? In terms of Y-DNA, LivingDNA and Geno 2.0 offer the best value for money and the highest accuracy. There is not a huge difference between the five mtDNA tests, especially considering the little value of mtDNA for tracing back ancestry. Likewise, if you plan to ignore the company's autosomal reports and use third-party autosomal calculators all tests are pretty much equivalent. If you are interested in third-party health reports, only 23andMe, Living DNA and AncestryDNA contain a reasonable amount of medically relevant SNPs. If one had to rely solely on autosomal reports, the most detailed and interesting one at the moment would be LivingDNA's as it boasts the most reference populations and these populations are linked to real ethnic groups. Almost everyone outside the American continent knows their recent ethnic origins (last few centuries) because little intermingling occurred after the great migrations of the Middle Ages (Germanics, Huns, Bulgars, Slavs, Khazars, Magyars, Vikings, Arabs, Mongols). Therefore most Europeans and Asians will seek to learn about more ancient ancestry, which can't be guessed from genealogy nor clearly from ethnicity alone. The only case in which the AncestryDNA report might be more interesting than LivingDNA is for Americans with West African ancestry from the slave trade, as this report distinguishes eight Sub-Saharan African ancestral regions, including five from the slave coast. The second most interesting report for people of European descent is 23andMe's. The FTDNA Family Finder's report (My Origins) is more confusing than helpful as it is not linked to real ethnicities for Europeans or Middle Easterners. Geno 2.0's autosomal report is the least useful and badly needs an update (Geno 3.0?). Family Tree DNA was a pioneer of commercial DNA test, but their adamant determination to stick with old-fashioned and expensive STR tests for Y-DNA, their dedication to tests for genealogical purpose, and the poor quality of the autosomal report, all together mean that it would be a disservice to recommend their tests for tracing back one's ancient ancestry. Their geographic projects, which list participants from specific countries or regions, were one of the main reasons for the company's popularity for many years. Yet, such projects are increasingly common on other websites, some entirely dedicated to that country's genetic heritage and is available in that country's language (such as the Serbian DNA Project). If you do want to join one of FTDNA's geographic project, you can always upload your Geno 2.0 results to FTDNA for free (National Geographic and FTDNA use the same testing lab). * Note that the score for 23andMe's autosomal report includes the health report. 23andMe's value for money and overall rating depend on your country of residence. The best value with the health report is for British and North European customers (129£/149€), then Canada (249 CAD), then the USA (199$). For Ancestry only, the US customers get the cheapest price. The value and overall rating is considerably lower elsewhere due to the price difference, shipping costs, and the absence of health report. Two other tests allow you to sequence your Y chromosome with a high level of accuracy in order to discover new SNP's and to expand the phylogenetic tree considerably. The most complete at the time of writing was Full Genome Corporation's Y Elite 2.1 ($795), which yields a sequence of approximately 23 million base pairs on the Y chromosome at a 30x coverage (meaning that the DNA segments will be read and compared 30 times over to prevent reading errors), one thousand times more than the best ancestry test in the list above. This is the ultimate tool in genetic genealogy and historical genetics as it allows a resolution of only two generations between SNPs. This means that a grandfather and grandson, or two paternal cousins will show at least one different SNP on their Y chromosome. With a new SNP for every two patrilineal ancestor, it becomes extremely easy to determine precisely how many generations ago two lineages diverged from one another. The test also includes 300 STR markers to use for surname projects (see below), nearly three times more than the most detailed test sold by FTDNA (111 STRs). Its only competitor at the moment is Family Tree DNA's Big Y test ($575), but it is only available to customers who have already purchased an STR test (minimum $169, so the price will be $744 in total). Despite the similar price, the Big Y test will generally yield less new SNPs because it tests a smaller part of the Y chromosome (14 million base pairs). According to Vadim Urasin of Yfull.com, a company which specialises in Y-DNA analysis, FGC's Y Elite 2.1 will cover 97% of the 55,000 known SNPs, against 76% for FTDNA's Big Y. New SNP's identified by Full Genome Corporation have a name starting by 'FGC', while those found using the Big Y test start with 'BY', as you can see on phylogenetic trees like Yfull.com. Another interesting alternative is YSEQ's Whole Genome Sequence ($899), which for a slightly higher price will genotype all your chromosomes at a 15x coverage, including the whole Y chromosome (which should yield about 22 millions calls, like Y Elite 2.0). This test only genotypes your DNA, and does not sequence it. In other words, only known mutations in the reference samples will be listed, but unique mutations you might have won't be reported. Actually YSEQ mentions that 10 novel (Y-DNA) mutations in your sample will be verified by Sanger sequencing. That is not a lot, but at least you all known Y-DNA SNPs and the whole mtDNA sequence will be tested, in addition to tens of thousands of medically relevant X-DNA and autosomal SNPs.